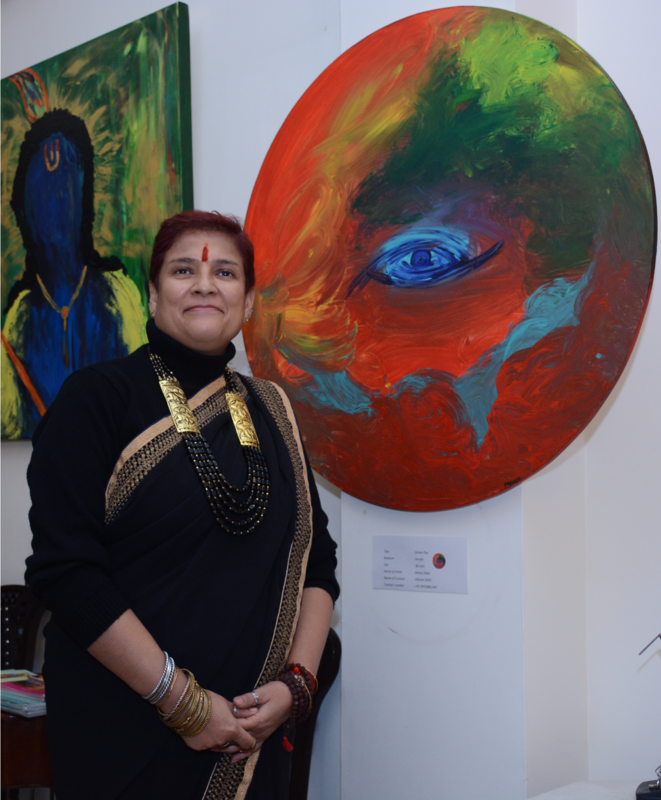 Hello Friends, I am Mona Sikka, a Gurgaon based abstract painting artist. What started as a hobby some time ago soon became my passion and motivation, and has led me onto a path filled with unprecedented joy and experiences. Yes I am talking about ‘Painting’ that in no time has become an indispensable part of my identity. Being a dreamer, I wanted a similar spontaneity in my art, and that motivated me to use my hands to bring out my feelings onto the canvas. Being naturalistic and simplistic in my approach I immerse my hands into colors and move them on the canvas to capture my feelings and thoughts. It fills me with immense joy and excitement to give you my website, which stores the collection of all my work. All paintings hereby displayed are my original creations, painted at my home studio. Thanks for your visit as it would motivate me to put dexterous efforts to bring you more of my work.